With the party season in full swing, your skin needs a breather from all that heavy make-up. Here are a few tricks to shield your skin from all those harmful chemicals. - Make sure your face is well moisturised before you apply make-up. A well moisturised face glows from within, and therefore, less make-up is enough to make it look radiant. - Wash your face with water, dab it dry and apply a layer of moisturiser suitable to your skin type. Let it soak for 15 minutes and using a cotton ball, dab off all the excess cream off your skin. 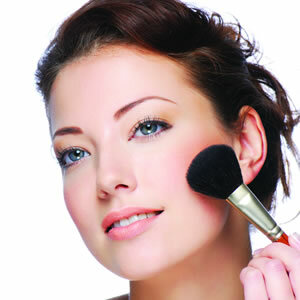 Now apply a thin coat of face powder or a concealer before applying make-up. - When it comes to skincare, your eyes are generally the most ignored part of your face, even though you use a lot of make-up around this area. - After washing your face, dab it dry and apply a generous coat of petroleum jelly on your eye-lids and the under-eye area. Let it absorb for 15 minutes and then dab off excess oil with a cotton ball. Use a little face powder or regular talc on that area and brush off. Start with the first coat of eye shadow. - Most vulnerable to the harsh winter winds, your lips are often left dry and get chapped, which could lead to painful cuts. Invest in a tinted lip balm that will give you some colour and mosturise your lips at the same time. Buy one that comes with an SPF protection. - Before you do up your lips for a party, apply a thick layer of lip balm on them. Rub your lips together, so that it's spread evenly across the surface and let it soak for 10 minutes. Dab off the excess with a cotton ball and apply a layer of powder on your lips. The powder will act as a barrier thereby preventing the moisture from escaping. This will also help the lip colour last longer. -It is absolutely crucial to remove the make-up before you go off to sleep. Layers of make-up clog your skin pores, restricting your skin from breathing, which could lead to pimples and discolouration of skin. - Wash your face with a soap-free, pH-balanced cleanser to remove all the make-up and clear the pores. If you have oily skin, go for the foam or gel-based ones for better results. Wipe your face and apply tiny drops of night cream or moisturiser along the contours of your face. Gently massage your face in a circular motion with your fingertips. This will help absorb the moisturiser faster. -Special care needs to be taken when you are removing eye make-up, as the skin around your eyes is very sensitive. The eye-liner or kajal gets absorbed into the skin, leaving the area under the eye dark. Prolonged usage will render the skin dry, patchy and prone to wrinkles. - Gently wash the area around your eyes with a foam-based face wash. Next, apply a coat of petroleum jelly and gently wipe it off using a cotton ball. Finally, clean the corners of your eyes using an ear-bud. 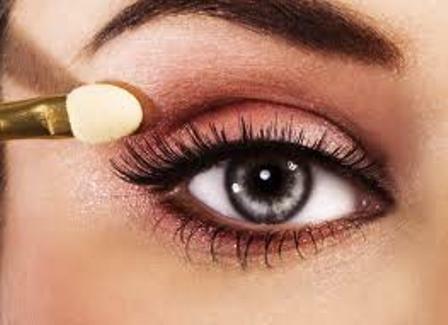 Apply an under-eye cream and leave it on overnight. This will help restore moisture. - It is a known fact that your lips are five times more sensitive than your facial skin. Therefore, one should take extra care while removing make-up from your lips, instead of scrubbing your lips or licking the lipstick off. - Use a gentle cleanser to clean the make-up off your lips. In case of persistent lip colour, soak a cotton ball in some regular body lotion and gently massage it over your lips in circular motion. Now apply a thick coat of lip balm and leave it on overnight.